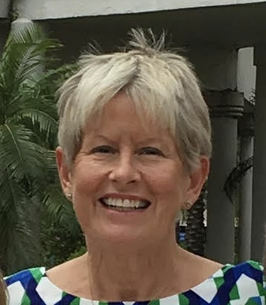 Mary MacDonald of Bonita Springs, FL and St. Louis Park, MN died unexpectedly October 31, 2018. Mary was a 1964 graduate of Regis High School, Eau Claire, WI and University of Wisconsin Parkside. Mary’s distinguished professional career began at J. I. Case (Tenneco) in Racine WI and included 23 years as Senior Director of Human Resources, McDonald’s Corp. Oak Brook, IL and 5 years as Vice President of Human Resources, Snap-on-Business Solutions, Cleveland, OH before happily retiring to Florida in 2010. Mary was preceded in death by parents John and Patricia MacDonald of Eau Claire, WI. She is survived by, siblings, Michael (Kathy) (Madison, WI), Anne Strachota (Robert) (Edina, MN), John (Jamie) (Charleston, SC), James (Mona) (Edina, MN), Thomas (Debra) (Stamford, CT) and Jane Mayhew (Samuel) (Cambridge, MA) and her beloved dog, MacaDoodle. Mary was greatly loved by 13 nieces/nephews, 15 grand nieces/nephews and numerous friends worldwide. Mass of Christian Burial will be at Our Lady of Grace Catholic Church, 5051 Eden Avenue Edina, MN 10:30 a.m. Friday, November 9, 2018 preceded by a visitation at 9:30 a.m. Donations in memory of Mary may be made to Secondhand Hounds Animal Rescue, Ronald McDonald House Charities, Dr. Michael MacDonald’s Juvenile Diabetes Research at Univ. WI, Madison (made to the University of Wisconsin Foundation and mailed to US Bank Lockbox 78807, Milwaukee, WI 53278) and the National Multiple Sclerosis Society in New York in honor of her brother, Thomas MacDonald. To send flowers to the family of Mary Claudette MacDonald (MacDonald), please visit our Heartfelt Sympathies Store. I am so sorry for all of Mary’s wonderful family. She loved you all and was so proud and happy to be part of such a wonderful family. I will miss her.